Healing Springs Publications has been created to provide an avenue for people to share their journey into faith, in order to help others restore hope, renew faith, receive healing and release their dreams. We all have a story to tell and a God experience to share. These stories and experiences belong to us and cannot be taken away. They are gifts from God and are meant to be given away. May we shine as we tell His stories for His glory. Through the small "Journey into Faith" testimony booklets, short "Goodness of God" articles, and teaching outlines, it is our hope that you will find the encouragement that you need. 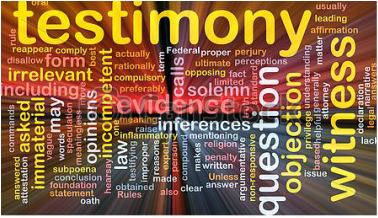 Our testimonies or stories, are the written or spoken record about what God has done in our lives. These records when read or heard release a spirit and atmosphere of prophecy that empowers others to believe and ask the question, "if God has done that for them, why wouldn't He do that for me?" Scripture tells us that God is no respecter of persons. He loves everyone. And He is the same, yesterday, today, and tomorrow (Acts 10:34, Heb. 13:8). Prophecy is not necessarily a word that comes to us to inform us of something we didn't know, but rather more about activating what God has already called us "to be." We are His precious children who are honored, favored and loved; whole, healed, delivered, and prospered. Prophecy empowers us to understand.....to stand under the infallible, inerrant Word of God as a child who understands their identity in Christ.....who knows they are accepted, secure, and significant. Out of that knowing and freedom "to be" who we have been created "to be", we naturally do. As we record our stories, we also create a memorial stone. Stones of remembrance were used all throughout Scripture. Memorial stones help us remember the goodness of God, what His covenant is like, and who He intends to be in our lives. They point future generations to His mighty works and also remind God of what He has done in the past. They glorify God's nature and His ways, restoring hope and renewing faith. Healing is received, and dreams are released. God said, "let there be....." May our stories, our testimonies, our memorial stones release the atmosphere "to be" and encourage others "to be the people of God before doing the work of God." "Every time you bring encouragement to someone, you release divine favor." We believe that the Bible is the inspired and only infallible and authoritative Word of God. We work hard at staying true to that Word. You may find that you do not agree theologically with all that is shared, however we encourage you to receive what feeds you and let go of the rest. Our heart is not to debate or challenge an experience, but to honor and allow others to share their experiences for His glory as they understand it.